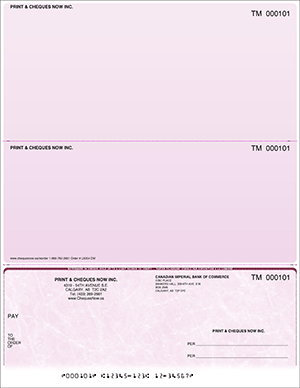 Print & Cheques Now Inc is capable of printing laser cheques compatible with Any software program. 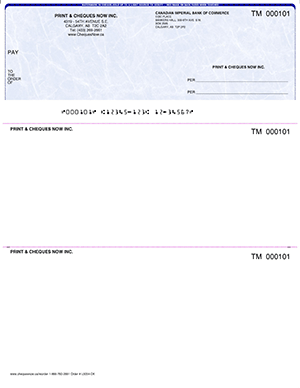 Simply scan and email us a sample of your existing cheque and we can match all your print positions! 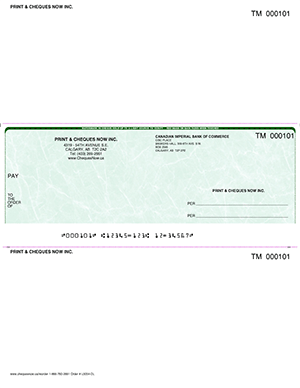 At Print & Cheques Now Inc. we price our selves on our ability and willingness to be able to build and customize our print positions to match that of virtually any cheque printing software in the market place. Whether you use a standard accounting software program such as Sage 50 or Quickbooks, or a custom built and designed program we can help you get the laser cheques you need to keep your payroll and payables running smoothly!